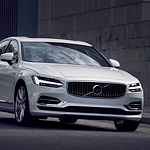 Learn more about new Volvo vehicles that are showing up at Weston Volvo Cars showroom and watch videos about the exciting changes that are taking place in the world of Volvo. If you're near Fort Lauderdale, Plantation, or Sunrise, FL, and you're on the lookout for a new, spacious, and versatile luxury vehicle, keep your eye out for the 2019 Volvo XC40 available now at Weston Volvo Cars just minutes away in Davie. Buying a used can be easy, but knowing you’re getting a reliable used vehicle that’s not a lemon is another story unless you’re getting it through the Volvo Certified Pre-Owned Program. If you have a teen driver, we even have vehicles specifically for teens. Take a trip to Weston Volvo Cars and see what we have to offer. The Volvo XC90 is a popular SUV, which can fit up to approximately eight people. This SUV was made to ride on both smooth and rough surfaces, and the vehicle is equipped with all-wheel-drive. The entire team at Weston Volvo Cars are excited that the new Volvo S60 is here on our lot. These are a few of the features helping to boost its popularity. 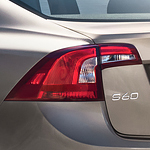 The Volvo S60 comes with the Blind Spot Information system for helping to reduce instances of crashes on the road. The way this unique monitoring system works is by scanning behind your vehicle for the threat of another car in your blind spot. When detected, your side mirror flashes so you're aware which side of the vehicle has a threat. With audio being one of the most important features of the automobile, you are going to have a lot of options when it comes to the 2019 Volvo XC60. 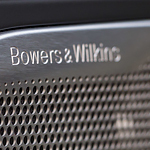 The options in audio systems are going to be worth looking into so that you can decide on the type of audio experience you want. Are you trying to find a sports wagon to get you and your family around in Davie? Are you looking for a vehicle that will impress you? 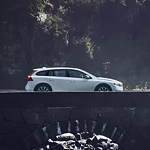 Consider the Volvo V60 Inscription and all that this popular midsize sports wagon can offer to your family. Come to Weston Volvo Cars to learn about the special alloy wheels that are part of the Volvo V60 Inscription. Did you know that the wheels of a vehicle can really set that vehicle apart from those that are around it? This sports wagon is set up with special wheels. The Volvo V90 is a stylish wagon with upgraded grill and head lamps that make the exterior design wonderful to behold. It’s not your typical wagon by any means. For one, Volvo has put a lot of thought into the function and modernity of the aesthetic, using stylized head lamps and fog lamps to center the exterior design. There are also a few different accessories and safety features that are included in the new exterior design as well. Are you considering the Volvo S90 Momentum as your next luxury sedan? If so, our team at Weston Volvo Cars serving Davie thinks that it is an exceptional model. It is popular with consumers because it offers a number of features that enhance comfort, styling, and convenience. To learn more about this trim, read further. 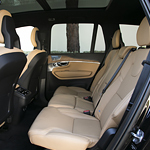 Do you want a luxury sedan that provides your backseat passengers with plenty of space? If so, the S90 Momentum is a perfect fit. In the S90 Momentum, your rear seat passengers can easily stretch their legs for superior comfort.